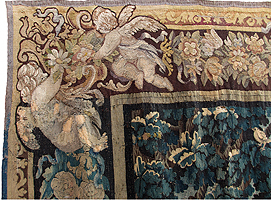 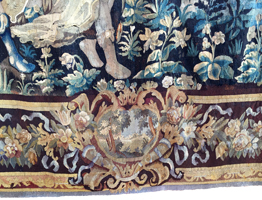 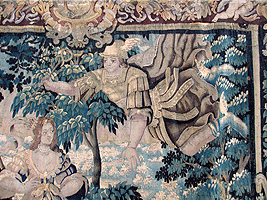 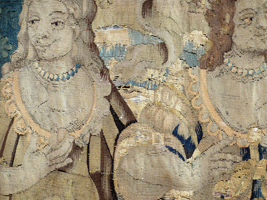 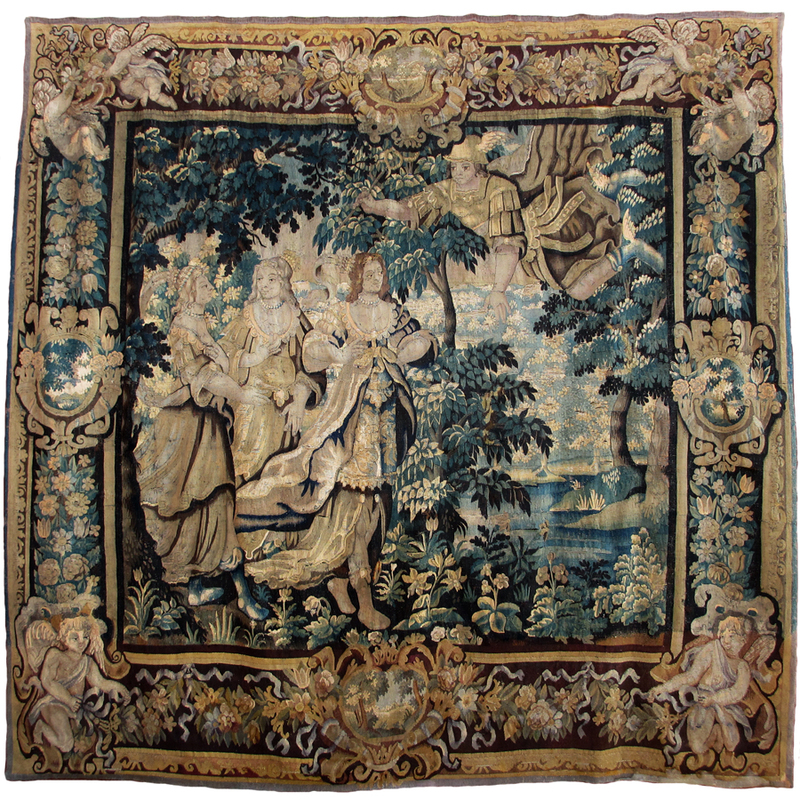 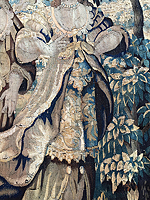 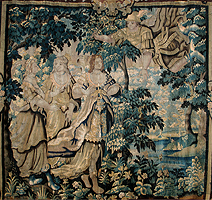 A Very Fine Baroque Franco-Flemish 18th Century Figural Tapestry Allegorical to Triumph & Love, depicting three maidens within a verdure background next to a shoreline, being approached by a flying archangel. 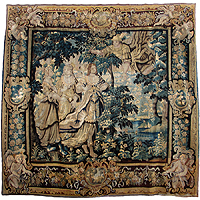 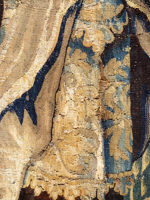 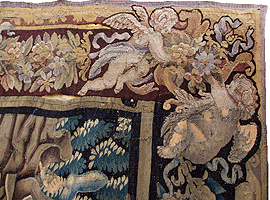 The upper corners with figures of twin-cherubs lifting a floral bouquet, the lower corners each with a figure of a Putto pulling on ribbons, with colorful floral arrangement, trees, shrubbery, ribbons, bows and shields. 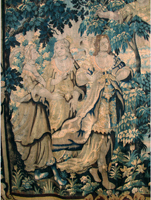 Circa: 1700's.